Argolis was under the rule of the Mycenaeans from 1600 to 1100 B.C.. According to mythological traditions, the most ancient population of Argolis were the Pelasgians, while the heroes of the pre-Hellenic past of Argolis were the Inachides. The founder of the dynasty was Inachus and his descendants were Panoptes, Argos, Pelasgus, Mycene (the name of the city of Mycenae is said to derive from her name), the famous founder of the first cities of Argos Foroneus and Io. The descent of the Greek races (Achaeans) to the Greek Countries is dated at the beginnings of the second millennium B.C. After the submission of the older populations, various states were founded. The hegemonies of Tiryns and Mycenae were two of the most powerful Achaean states. However, at about 1000 B.C. the Dorian descent resulted in the destruction of the Mycenaean Civilization. Since the 6th century B.C., Argos constituted the force that determined the rules in Peloponnese, judging from the ruins of the temple of Heraion, which was built in honor of Hera. After the submission of Greece to the Romans during the Byzantinian era, the history of Argos started to merge into the history of Nafplio. Nafplia, which was the ancient name of Nafplio, was an autonomous city until 676 B.C., when it became a seaport of Argos. Since 589 B.C. the city has been known as Nafplio. 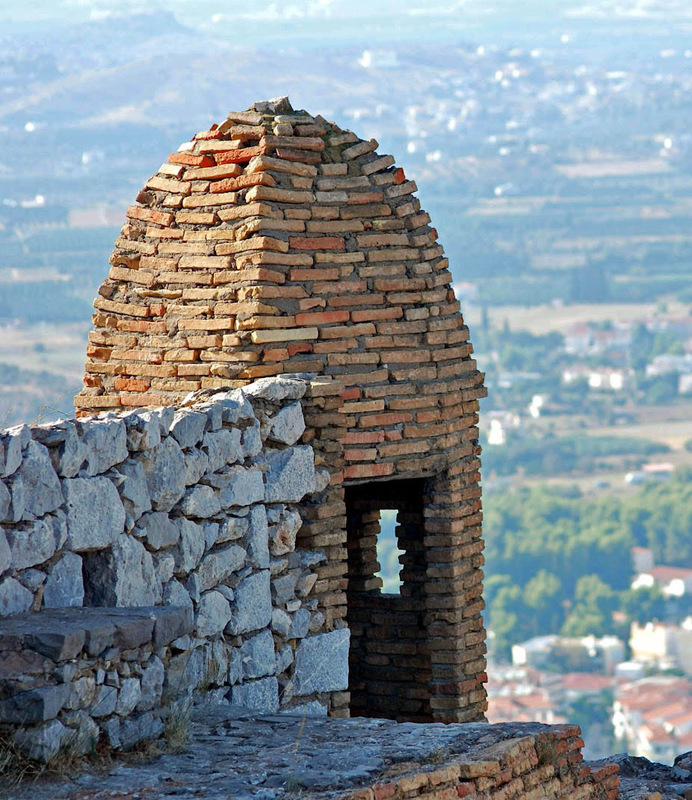 The rise of this city is dated at 120 A.D. For 100 years Nafplio was under the rule of Frank Dukes of Athens De la Roche. Then it was granted to Venetians until 1540 when it was granted to the Turks. During the first period of the Turkish rule in Nafplio the New Martyr Anastasios from Nafplio, whose memory is honored at February 1st, martyred. The first period of Turkish rule ended in August 22th 1686, when the general of the Venetian forces Franciscus Morozines, after a long siege, conquered Nafplio and ordered the accomplishment of full fortification construction studies, according to the rules of the art of war, of the mountain Palamidi in combination with the fortification acts of Akronafplia. The work of the construction of defensive bastions and the fortification of Palamidi in general began in 1687 under the personal supervision of Morozines, who, after the conquest of Peloponnese, defined Nafplio as the capital of Moreas, headquarters of the General Provisioner, headquarters of the General of the army and capital of the Romanian County. Thus, Nafplio was named “Napoli di Romania”. Augustine Sagredos, Senior General and Jerome Selphinos, General Supervisor of the Kingdom of Morea, were the supervisors of the completion of the fortification of Palamidi and especially of the fortress “Mpourtzi”. The second period of the Turkish rule in Nafplio started in 1715 when it devolved to the Conqueror Daout Pasa and ended on November 30th, 1822, when Staikos Staikopoulos along with 350 men conquered Palamidi after many repeated efforts to siege it. Since then, Nafplio played a very important role in the fight of independence while Argos also had its own part in the fight. The First National Assebly also took place in Argos in 1821 while later it relocated to New Epidaurus. The ancient castle “Larissa” in Argos had an important role in the fall of Dramalis, when Ypsilantis and 700 other men defeated the invaders, until Kolokotronis assembled the army and vanquished the Turks in Dervenakia. On January 7th, 1828, Ioannis Kapodistrias, the first Governor of Greece, who is acknowledged for his great achievements such us the first School of Evelpidon, the Agricultural School in Tiryntha, disembarked in Nafplio.Unfortunately, he was assassinated on September 24th, 1831 as he was entering the church of Saint Spyridonas in Nafplio. On January 25th, 1833 the first King of Greece, Othonas, disembarked in Nafplio, too. Nafplio stopped being the capital of Greece in September 1834, according to the R.D. 18/30, which was signed by the Viceroy Armansberg Kompel and Eidek and Athens was defined as the new capital city of Greece.